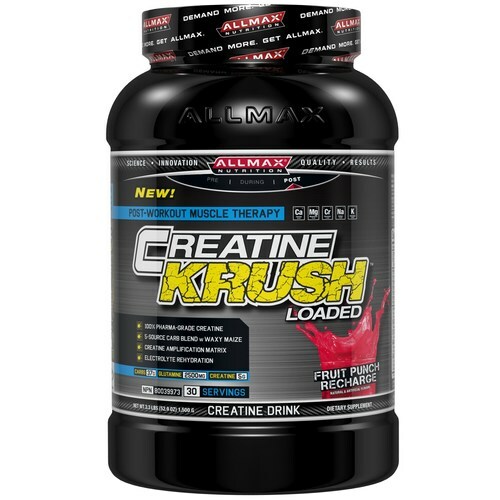 Creatine Krush Loaded from AllMax Nutrition provides a dose of calcium chromium, potassium and more with a little as 140 calories in each serving. Warnings: Allergen Warning: Contains soy. Produced in a facility that also handles milk, wheat, egg, peanut, tree nut, fish and shellfish products. For adults only. Keep out of reach of children. Consult a healthcare practitioner if you are pregnant, nursing, taking medication or have any medical condition. Do not exceed recommended serving. Use only as directed. Consult with a physician prior to use if you are currently taking any prescription medications. Do not take if you have any pre-existing medical conditions. Not recommended for persons under 18 years of age unless recommended by a health care professional. Discontinued use if you experience any adverse reaction. Recommended Use: To maximize recovery and gain muscle strength, size and power mix 2 scoops (50 g) in 8 oz of water or your favorite beverage. 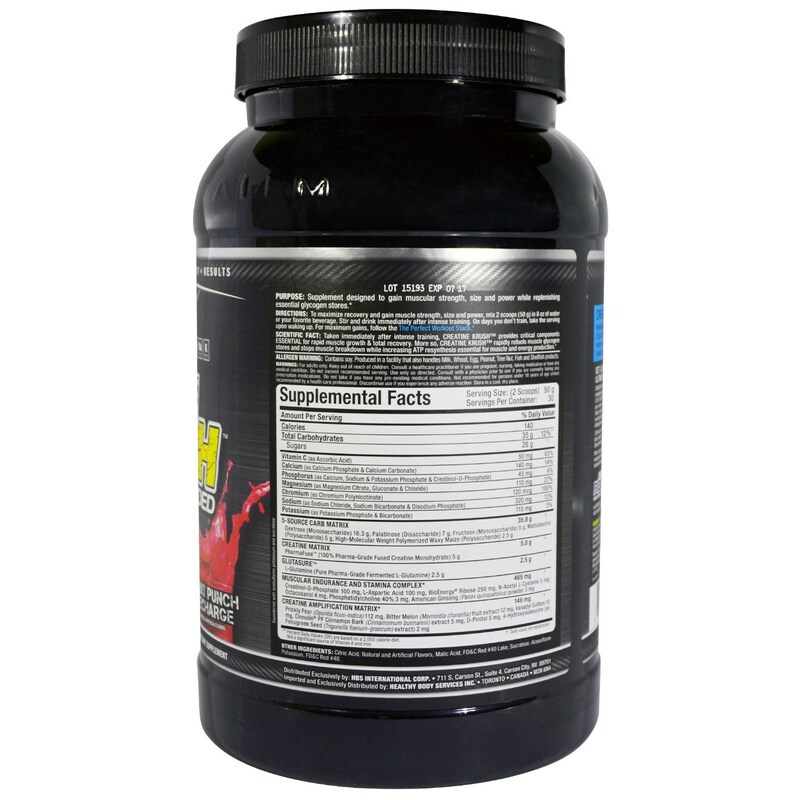 Stir and drink immediately after intense training. On days you don't train, take the serving upon waking up.